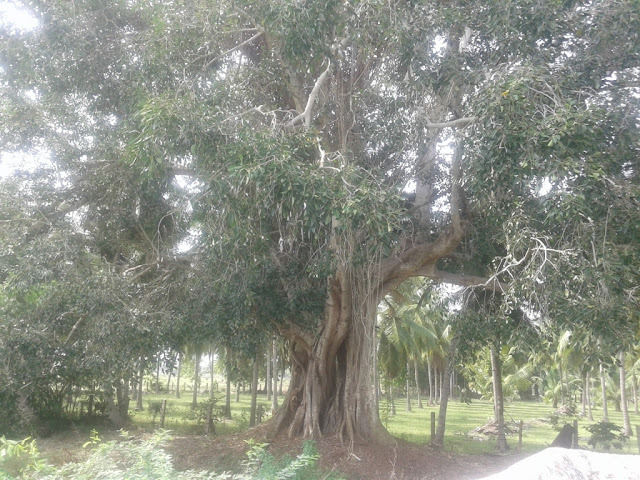 Santana Ganapathy Temple in Veeriyankottai is located near Ithi Maram/Tree which is worshipped as Guruswamy in the village. 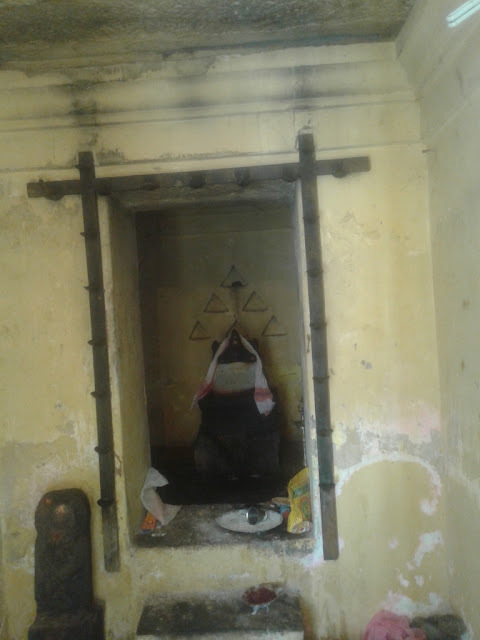 Agasthya Vijayam details that the Ganapathy here is Santana Ganapathy. 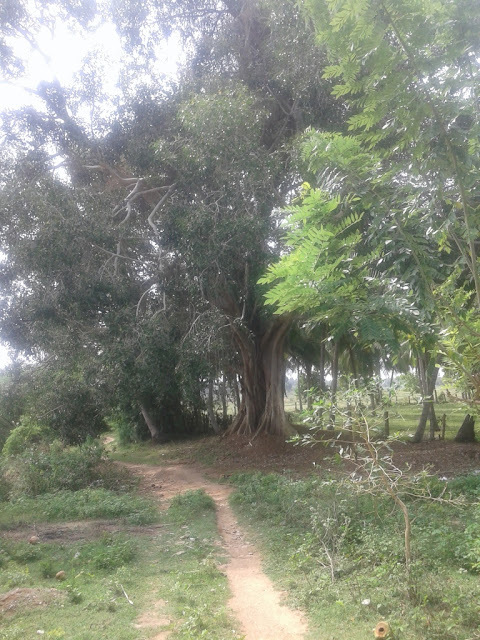 Otherwise the local population refer to the Ganapathy Temple near the Kathayi Temple Munneswarar Poojari House. The Poojari/Temple priest who performs pooja to munneswarar here has his house near the Santana Ganapathy Temple. 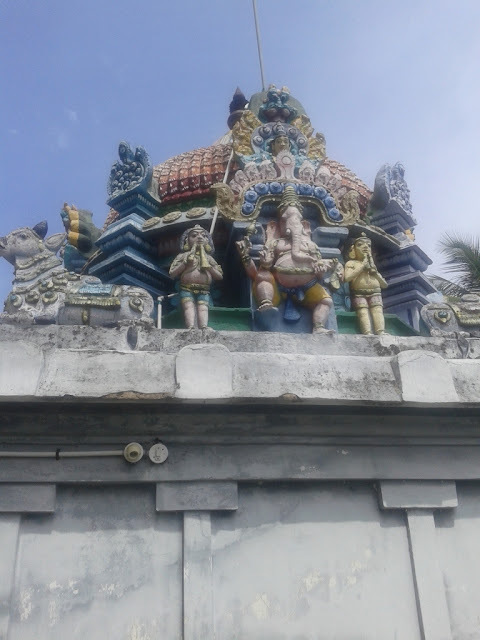 One has to ask for directions of the Kathayi Temple Munneswarar Poojari's home and wade through the narrow maze of roads to reach the Ganapathy Temple. The word 'Veeryam' in Tamil is associated with Fertility and Agasthya Vijayam Tamil Monthly spiritual magazine details that pooja performed in Veeriyankotai solves Fertlity issues in both Men and Women and blesses them to have good Children. Agasthya Vijayam states that Veerasena munivar, Ugraveerya maharishi and Veerasravaat Maharishi are great saints who worship in Veeriyankottai daily in subtle form or invisible form. Ithi Maram/Tree is related to the species of Banyan tree. Here the Ithi Maram is a huge tree with arial prop roots similar to banyan tree. 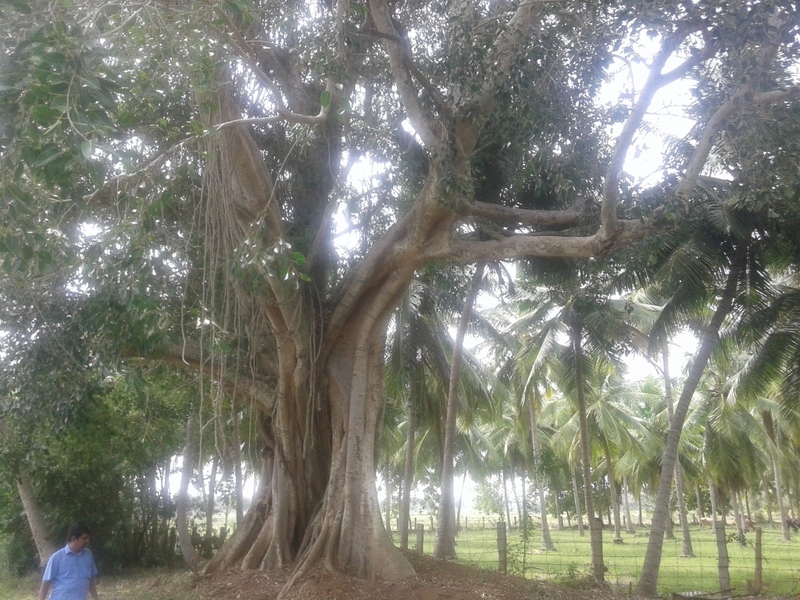 The Arial roots then reach the ground to form the bark of the tree enabling the tree to grow laterally. 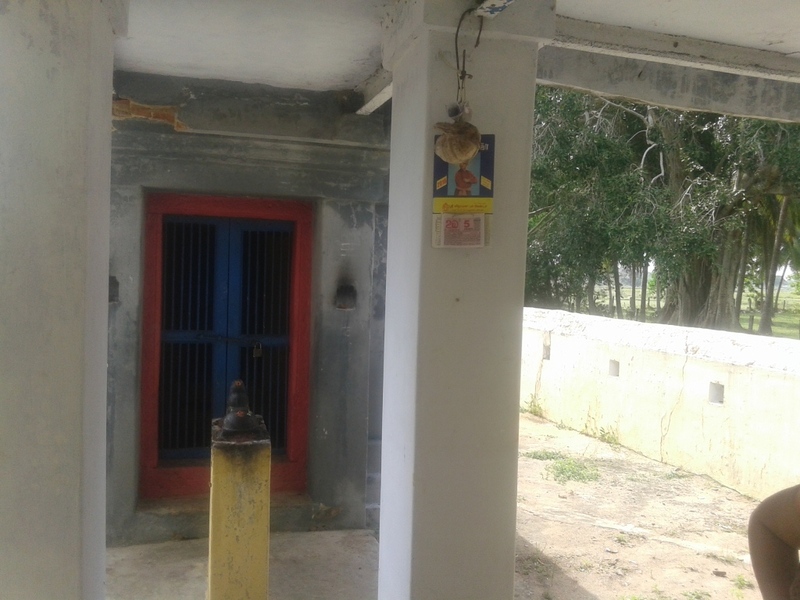 Ithi Maram is worshipped as Gurusamy in this village. 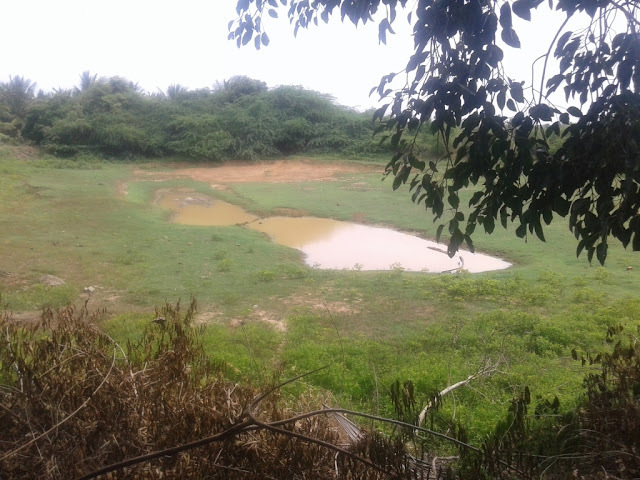 Agasthya Vijayam details that the pond near the Ithi Maram is Putra Kameshti Theertham and the Ganapathy Temple nearby is actually Santana Ganapathy Temple. 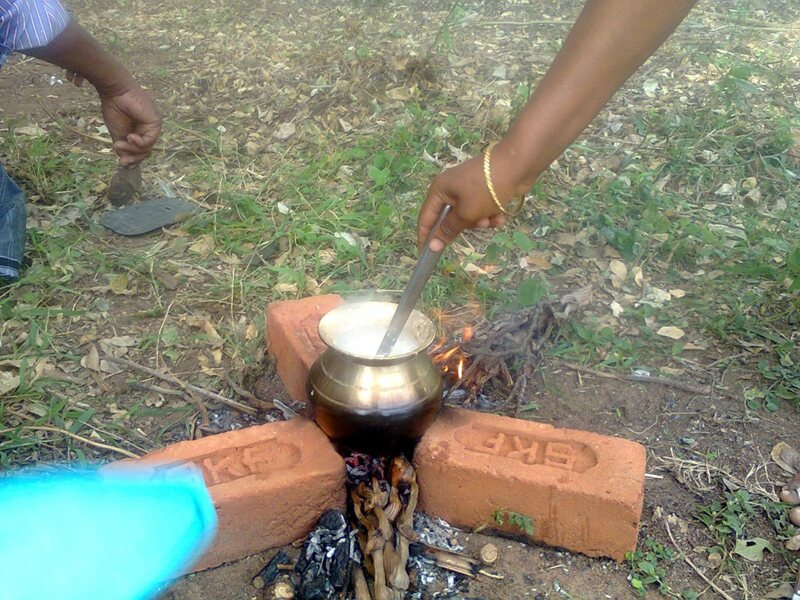 Agasthya Vijayam advises that one has to set up a firewood stove in the form of Tamil Alphabet 'Akku' here near Ithi Maram and cook Pongal Dish made of Rice and Milk alone without Water. One can add Ghee, Jaggery and Dry Fruits for sweetness of Pongal. The Dish Known Paal Pongal made of Paal/Milk, Arisi/Rice and Vellam/Jaggery is a tasty one. Smoky flavour is added to it since it is cooked in firewood. Agasthya Vijayam says that Cooking Paal Pongal in this wayis known as 'Vrikshapaalika Vamsavali pooja' and blesses one to have good children. One has to understand the importance of cooking in firewood even in this 21st century from an spiritual aspect. Even today in many village temples, pongal in cooked in firewood and offered to god. Especially during pongal festival in Tamil Nadu, Pongal is cooked in firewood. According to Hinduism, Fire has many representations and colours. The LPG Stove on which we cook has bluish flame which is associated with Sani Graham/Planet. 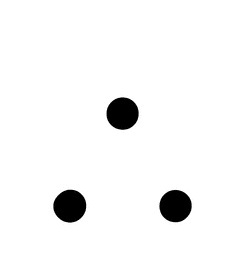 But the Firewood gives a yellowish flame associated with Guru Graham/Planet. Cooking in Firewood is considered auspicious and the food cooked is considered wholesome in spirituality. According to Agasthya Vijayam, when rice is made to boil in water/milk instead of pressure cooker, one can hear the sound made when rice boils. 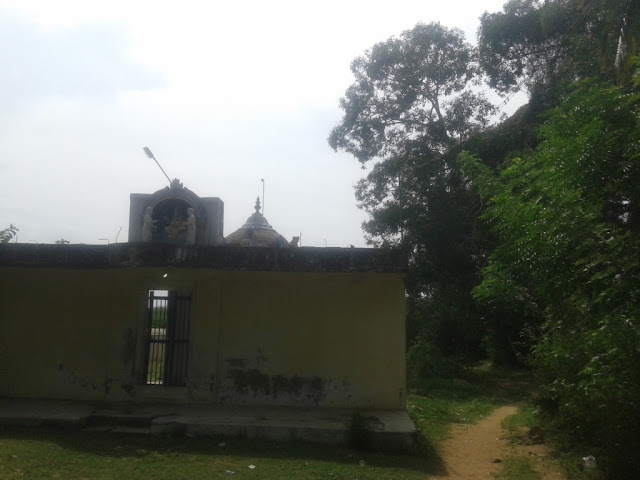 This sound is said to be the beejakshara sound associated with Annapoorna devi. Cooking itself here becomes a form of worship that carries the blessings of Annapoorna Devi.